* Click on the RoboGlyph above or a Tiphour below to get started. Tiphour, TIPLAB, and TIPclass combine to form a personalized dynamic differentiated STEM, STEAM, learning environment that does not need special equipment, curriculum, or consumables. Tiphour, TIPLAB, and TIPclass is a pedagogical shift not a complicated install. The main idea of Tiphour is to flip project development from the teacher to the student while still retaining the values that constitute a highly respected learning environment. 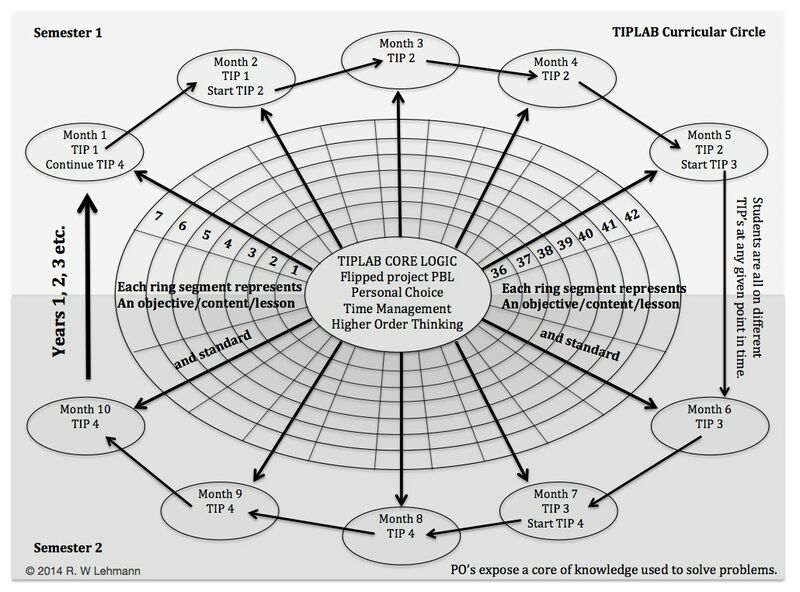 The Tiphour TIPLAB works as an incubator for project based learning. Students are encouraged to utilize the resources available in the TIPLAB to succeed in all of their classes (STEAM). This is mainly accomplished in the TIPLAB through the use of a Time Management Assessment/Evaluation that allows for the logging of extended classwork utilizing technology resources and other “Key Document Evaluations”. Students work on an unlimited selection of individual project selections simultaneously. Use the Roboglyph above for navigation. It is set up like a game so it takes some practice to learn the process and rules. Be patient and you will have lots of fun learning. Click the red button if you get lost.